Delicious, fresh fish is one the most nutritious animal-based food on the market. But if you’re picking the wrong type of fish, you could be doing more harm to your body than good. Even the most discerning shoppers have a hard time distinguishing between the good and the bad fishes on the market. That’s because some of them have actually undergone a name change and are now priced like top-quality salmon or tuna. Regardless of whether or not they’ve been rebranded, there are several inexpensive fish on the market that you should avoid. The two major issues with these fish are their mercury levels and overfishing, but sustainability and ecological issues are also considerations. Here are five fish to avoid and what you can eat instead. Chilean sea bass sounds fresh and tempting, doesn’t it? Would you be shocked to learn that there is no such thing as a Chilean sea bass? It’s the rebranded name for the Patagonian Toothfish, which admittedly doesn’t sound all that tasty. They’re ugly, bottom-dwelling fish that live in frozen Antarctic water. These fish contain high levels of mercury, which makes consuming them a bad idea. The original name for the little orange fish still found in some grocery store freezers was hardly appetizing: slimehead. I remember eating orange roughy as a kid in the ‘90s, and I can tell you with 100-percent certainty that I would never have eaten a slimehead fish. In more recent years, avoiding this fish has been a priority because of its dangerously high levels of mercury. It’s also not a sustainable food source. It can take anywhere from 20 to 40 years for orange roughy to reach full maturity. Plus, they reproduce later in life, which means that fishing them stresses populations. Many restaurants and retailers refuse to carry the fish, but it still appears in some grocery stores. Imagine this scenario: thousands of fish are kept in tightly-packed open-net pens. Their waste stays close to them as there is not enough room for the fish to move around. Fish take in this waste-contaminated water to breathe. If you imagine nasty water full of diseases and parasites, you’re on the right track. Atlantic-farmed salmon are usually dirty fish that are given antibiotics to keep them “well,” adding to our current problem of antibiotic resistance in humans. Like orange roughy, grouper live long lives and reproduce at a slow rate, thus putting them at risk of overfishing. When they mate, they congregate in large schools that make them an easy target for fishers. Like many fish on this list, they also contain dangerous levels of mercury. At this point in our list, you’re probably not surprised to learn that not only is halibut often overfished, but it also contains far too much mercury to warrant buying it. Atlantic halibut has experienced extreme overfishing, and there are currently no Atlantic fisheries that harvest halibut. It’s estimated that the stock will rebuild by 2056 at the earliest. Atlantic halibut also contain unsafe levels of mercury, while Pacific halibut contain a moderate amount of the heavy metal. While this list may seem overwhelming, there are a number of healthy fish on the market that won’t cost you an arm and a leg. The trout-farming industry is strictly regulated in the U.S., which means that this fish is farmed primarily from freshwater ponds or concrete “raceways” through which the water flows as it does in a natural river environment. There are also fewer chemicals used around trout, and due to their isolated locations, they have lower mercury levels than many wild fishes of comparable size. Salmon populations are often put at risk due to habitat loss, but in Alaska, all species of salmon easily thrive. Combined with its short reproductive cycle, Alaskan salmon is a sustainable food source. Biologists also monitor fisheries closely using underwater video and sonar to calculate population numbers. In fact, the Alaska Department of Fish and Game keeps up-to-the-minute information about the number of wild salmon in Alaskan waters. Thanks to this strict oversight, Alaskan salmon are among the healthiest fish to eat. Both extremely high in omega-3s and one of the few foods that are naturally high in vitamin D, sardines are gaining popularity for their nutritional value. Sardines quickly reproduce and, because they are small, contain very little mercury. Mackerel harvested from the Atlantic are both fast-reproducing and fished in ways that do not significantly harm the habitat. They are also low in contaminants like mercury due to their smaller size. What makes Atlantic mackerel even better is their nutritional value. They contain more than four times the amount of vitamin B12 as salmon, more potassium than a banana, and nearly as much iron as a 5-ounce steak. Picking the best food for yourself and your family may cost a little more, but the benefits far outweigh the risks of buying cheap, dirty fish. What is your favorite healthy, inexpensive fish? 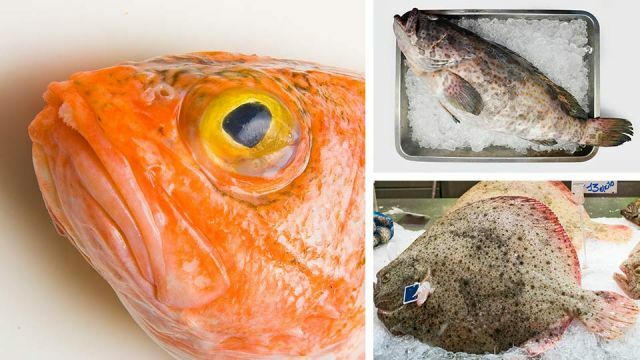 Hey Buddy!, I found this information for you: "5 Cheap Fish To Avoid At The Market (And 4 To Eat Instead)". Here is the website link: https://www.thealternativedaily.com/5-cheap-fishes-to-avoid/. Thank you.